Conad superstores could be excellent stores to offer e-commerce due to the wide assortment. However, owing to Conad's channel structure the service will likely be customised for use by supermarkets. Conad’s largest co-operative Pac 2000A has founded a company aimed at supporting all willing Conad merchants to sell groceries online, Italian magazine GDO Week writes. The company called Eurecart was formed through a partnership with IT specialist Intema and is designed to support retailers with the entire e-commerce process including providing a platform, a payment solution and fulfilment as well as offering logistics support. Currently, 25 Conad stores in Rome are utilising the platform but the goal is for 80 stores to use the Eurecart infrastructure by the end of 2018 and that another 100 stores in major Italian cities will join in 2019. All order picking, whether for click & collect or home delivery, will be done instore. Conad has opted to leverage Eurecart through its own new platform Al tuo servizio Conad (At your service Conad) which is intended to be the central e-commerce platform for the retailer, according to Eurecart's CEO Stefano Passatordi. Pac 2000a’s 25 stores in Rome are hosted on the site together with around 140 stores of second largest Conad co-operative Conad Tirreno, which offer only click & collect online. According to Passatordi, the average online basket value is currently three times higher than that of physical stores. 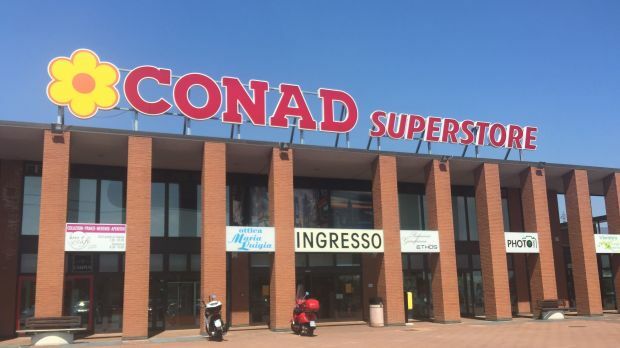 Conad has been looking for a central e-commerce solution for some time now, with its two largest co-operatives, Pac 2000A and Conad Tirreno, adopting the role as vanguard in the area. Conad’s CEO Francesco Pugliese has said that the company sees e-commerce as a service extension of its physical stores rather than a core strategic investment area. Eurecart seems to be designed with this in mind, offering enough flexibility and ease of use for Conad’s independent merchants to adopt it and adjust the offering to their own preferences. It’s probable the Conad Tirreno stores already offering click & collect will be the next to join the platform, thus adding home delivery to their service proposition. The system supporting in-store picking not only ensures the independent merchants the profits from each online transaction but also utilises the local anchoring of the Conad stores. This is leveraged for example through localised customer support, feedback requests and Conad employees handling deliveries. This adds an edge over overall main competitor Coop Italia (Coop Alleanza 3.0) which manages the centralised platform Easycoop with delivery outsourced to a third party. Esselunga a Casa was left out of the graph seeing as it, according to LZ Retailytics data, has a turnover much higher than its competitors of some EUR250mn. 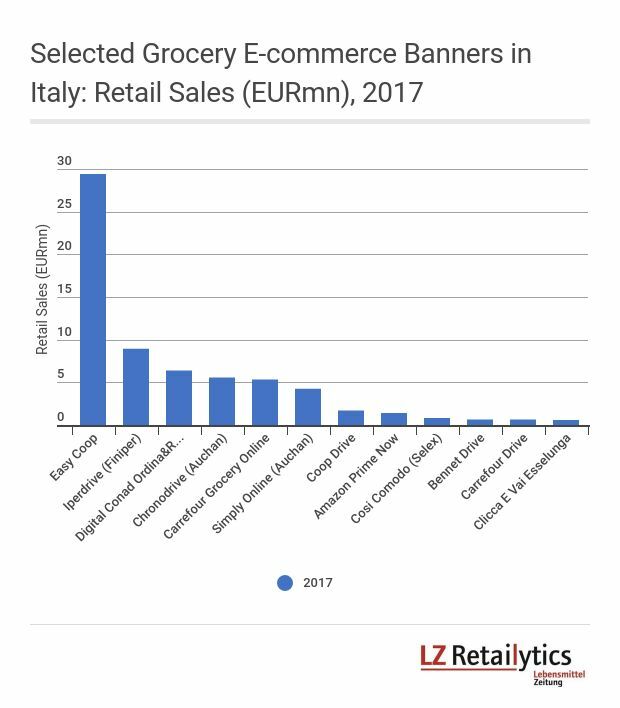 Conad was among the top players in the channel last year, despite only offering click & collect through its Tyrrenian stores at the time. Still, we believe that Conad may consider a dark store solution at some point in urban areas, if it reaches critical mass. Looking at another retailer co-operative, Ica Gruppen in Sweden, shows that this can also be a viable option that works when operating with independent merchants. With several Italian competitors investing in grocery e-commerce it was important for Conad to find this central solution to protect its shopper base. We expect several merchants, especially in the north to be inspired by the development of their peers within Pac 2000a and Conad Tirreno.